SKU: Model: PSM. Category: Process Control. The Process Simulator Module (PSM) is an electronic device that simulates the behaviour of typical process plants. The advantages of employing a simulator are that equipment or computer programs can be tested on a system that can be easily and simply interfaced, and whose dynamic behaviour is not too fast or too slow and whose characteristics can be modified easily in a repeatable manner. A USB interface is fitted for easy set up and use. 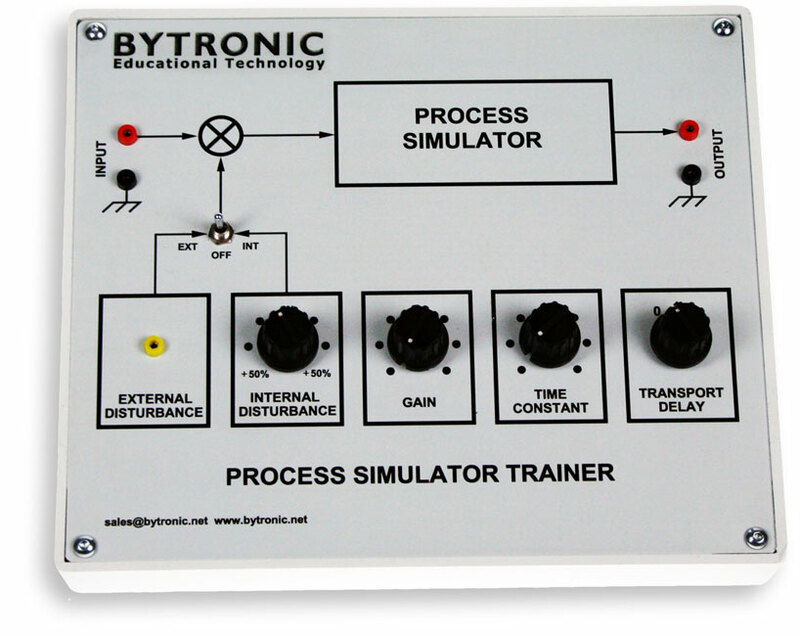 The simulator can be used in many different situations such as in a teaching laboratory for experiments in instrumentation and control, or can be used as a target system in project work. 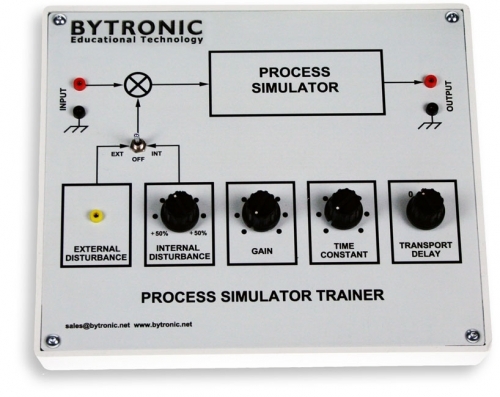 The Process Simulator Module includes analogue circuitry required for a simulator that models practical situations. The Process Simulator Module also has the facility for adding disturbances. The facility allows users to test out factors such as the regulation performance of control loops and allow random fluctuations (noise) to be introduced into the process simulation. The dynamics of many industrial processes can be described adequately by a pure transport delay and a dominant exponential lag. The transport delay is an essential feature of any realistic process simulation. The Process Simulator Module incorporates two transport delays together with an exponential lag and variable load disturbance. All process parameters are adjustable allowing the user to freely examine the effect of process changes on the controller’s performance. Students can use the Process Simulator Module and WINVIC combination to perform controller tuning and evaluate the resulting performance.